I compiled this list of biotech litigation readings in anticipation of the patent patent licensing dispute Arbutus vs. Acuitas on LNP drug delivery technology. Other big names such as Moderna, Sangamo, Alnylam, CRISPR Therapeutics will also be critically affected by the outcome of this trial. They are all using LNP for their drug delivery. This article is quite basic. As one of the first tests of a party’s legal claims, claim construction rulings can directly impact the range of potential case outcomes, thus affecting the overall value of the case from an investment standpoint. Summary judgment rulings can also trigger market-moving changes to the value of an ongoing litigation, as decisions granting or denying judgment on targeted issues directly impact the ultimate outcome of a case. …damages award does not necessarily mean that a company’s stock price will rise. Going into a trial, the market has usually accounted for an expected outcome in the company’s stock price. Inter Partes Review (IPR) proceedings allow anyone to challenge another party’s patent in litigation before an administrative law judge at the Patent Trial and Appeals Board. IPR proceedings as part of what appears to be a reverse monetization strategy in which the investor challenges the validity of a company’s patents while shorting the stock or trading options contracts so as to profit from a decline in share prices. Pharma and Biotech Patent Litigation by Corporate Disputes. … litigation strategies will have to reflect the legal uncertainties associated with claims, the construal of which by a court is not reliably predictable …. … the debate is unfolding in such a way that virtually all patent plaintiffs are cast in a negative light and a pall is cast over the strength of all patents. But the focus of the EU Commission’s endeavours is on identifying and sanctioning settlement agreements they perceive to be anti-competitive… the difficulty of settling pharma patent disputes without drawing antitrust scrutiny is certainly one of them. a biosimilar may be subject to relatively high development costs; …the difficulties that may arise in simply identifying the relevant set of patents at issue. Also, since biosimilars are likely to be priced closer to the reference products than small-molecule generics, the potential damages exposure may be less. The most pressing issue for patentees, whether in the pharma and biotech space or elsewhere, tends to be obtaining an injunction...One of the prongs of this test is a showing of irreparable harm. This can involve evidence on the degree of substitutability between the patented and infringing products, and lost market share, revenues, brand recognition, goodwill in the marketplace, and so forth. As long as unitary patent protection and enforcement is not available, holders of pharmaceutical patents must carefully define where and how to start legal action on the basis of their European patent…companies intending to launch their product prepare for litigation by taking into account the possibility of being stopped in one country – that is, they provide for alternative manufacturing sites and supply routes. pharma is one of the few industries where the vast majority of lawsuits are between competitors. The prevalence of electronically stored information (ESI) has had a dramatic impact on the cost and complexity of patent litigation. Notwithstanding that effort, satellite disputes over what documentation was not retained arise with regularity. Companies often find themselves in a ‘win-at-all-costs’ situation, but this may not be justified given the stakes in a particular lawsuit. a strong enforcement system begins with a strong examination system. … by easing fees on ‘micro’ entities and adopting procedures that allow start-up companies to secure patents swiftly and efficiently, in recognition of how critical IP protection can be when a firm is at a fledgling stage. Problems with enforcement still occur, in particular with respect to obtaining evidence, the long duration of proceedings, high costs versus the small amount of awarded damages and limited effect of deterrence. more patents and more cases, increasingly involving disputes between originators, and patents with broader claims potentially covering a greater number of various products…the opportunity to use mediation or arbitration proceedings to solve in particular multi-jurisdictional patent disputes in the pharmaceutical and biotech sector seem to be underexplored. Supreme Court is continuing a nearly decade-long streak of patent decisions, the vast majority of which have cut back on what may be patented or raised the bar for successfully asserting patents. Litigating Biotechnology Patents: The Next Frontier for Patent Litigation in the United States by Baker Botts. I am not goint to quote anything here. Just read the article yourself. If you read only one article on biotech patent litigation, this is the one. Two important types of patented technologies, however, clearly did not do well in the biotech patent litigations identified in the Study. One of these is monoclonal antibody therapeutics. Molecular diagnostics is another important as- pect of biotechnology that might not be amenable to effective patent protection under the current state of patent law. Biotech & Pharmaceutical Patent Cases: 2015 Year in Review by Fish & Richardson. 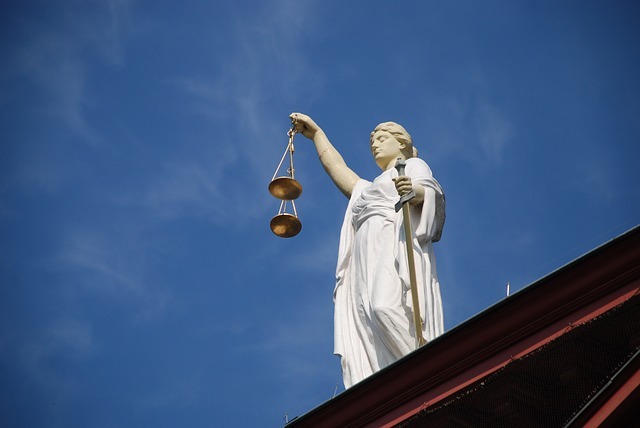 Idenix vs. Gilead: District Court Exercises Discretion to Deny Enhanced Damages [ Sanjeev Mahanta, Ph.D., J.D.@IPWatchdog]Dr. Ray Schinazi (on both Idenix and Pharmasset) shared Idenix’s discovery with Pharmasset. Then Pharmasset scientists built a prodrug on top of a derivative from Idenix’s idea. Arbutus vs Acuitas: Dispute over sublicensing of ABUS’s LNP delivery tech.